The name of Herman Wits (Witsius, 1636-1 708) has been unjustly forgotten. He was a masterful Dutch Reformed theologian, learned, wise, mighty in the Scriptures, practical and “experimental” (to use the Puritan label for that which furthers heart-religion). On paper he was calm, judicious, systematic, clear and free from personal oddities and animosities. He was a man whose work stands comparison for substance and thrust with that of his younger British contemporary John Owen, and this writer, for one, knows no praise higher than that! To Witsius it was given, in the treatise here reprinted, to integrate and adjudicate explorations of covenant theology carried out by a long line of theological giants stretching back over more than century and a half to the earliest days of the Reformation. On this major matter Witsius’s work has landmark status as summing up a whole era, which is why it is appropriate to reprint it today. However, in modern Christendom covenant theology has been unjustly forgotten, just as Witsius himself has, and it will not therefore be amiss to spend a little time reintroducing it, in order to prepare readers’ minds for what is to come. “The distance between God and the creature is so great,” says the Westminster Confession (VII.I), “that although reasonable creatures do owe obedience unto him as their Creator, yet they could never have any fruition of him as their blessedness and reward, but by some voluntary condescension on God’s part, which he hath been pleased to express by way of covenant.” Exactly! So biblical doctrine, first to last, has to do with covenantal relationships between God and man; biblical ethics has to do with expressing God’s covenantal relationship to us in covenantal relationships between ourselves and others; and Christian religion has the nature of covenant life, in which God is the direct object of our faith, hope, love, worship, and service, all animated by gratitude for grace. Our theme is the life-embracing bedrock reality of the covenant relationship between the Creator and Christians, and it is high time we defined exactly what we are talking about. A covenant relationship is a voluntary mutual commitment that binds each party to the other. Whether it is negotiated, like a modern business deal or a marriage contract, or unilaterally imposed, as all God’s covenants are, is irrelevant to the commitment itself; the reality of the relationship depends simply on the fact that mutual obligations have been accepted and pledged on both sides. Luther is held to have said that Christianity is a matter of personal pronouns, in the sense that everything depends on knowing that Jesus died for me, to be my Savior, and that his Father is my God and Father, personally committed to love, nurture, uphold, and glorify me. This already is covenant thinking, for this is the essential substance of the covenant relationship: God’s covenant is precisely a matter of these personal pronouns, used in this way, as a basis for a life with God of friendship, peace and communicated love. Thus, when God tells Abraham, “I will establish my covenant as an everlasting covenant between me and you and your descendants after you . . . to be your God . . . I will be their God” (Gen. 17:6-8), the personal pronouns are the key words: God is committing himself to Abraham and Abraham’s seed in a way in which he does not commit himself to others. God’s covenant commitment expresses eternal election; his covenant love to individuals sinners flows from his choice of them to be his for ever in the peace of justification and the joy of glorification. The verbal commitment in which electing sovereignty thus shows itself has the nature of a promise, the fulfillment of which is guaranteed by God’s absolute fidelity and trustworthiness — the quality that David Livingstone the explorer celebrated by describing God as “an honorable gentleman who never breaks his word.” The covenant promise itself, “I will be your God,” is an unconditional undertaking on God’s part to be “for us” (Rom. 8:31), “on our side” (Ps. 124:1-5), using all his resources for the furthering of the ultimate good of those (“us”) to whom he thus pledges himself. “I will take you as my own people, and I will be your God” (Ex. 6:7), the covenant promise constantly repeated throughout both testaments (Gen. 17:6-8; Ex. 20:2, 29:45 f.;Lev. 11:45; Jer. 32:38; Ezk. 11:20, 34:30 f., 36:28; 2 Cor. 6:16-18; Rev. 21:2 f.; etc. ), may fairly be called the pantechnicon promise, inasmuch as every particular promise that God makes is packed into it — fellowship and communion first (“I will be with you,” “I will dwell among them,” “I will live among you,” etc. ), and then the supply of every real need, here and hereafter. Sovereignty and salvation, love and largesse, election and enjoyment, affirmation and assurance, fidelity and fulness thus appear as the spectrum of themes (the second of each pair being the fruit of the first as its root) that combine to form the white light, glowing and glorious, of the gracious self-giving of God to sinners that covenant theology proclaims. The God-given covenant carries, of course, obligations. The life of faith and repentance, and the obedience to which faith leads, constitute the covenant-keeping through which God’s people receive the fulness of God’s covenant blessing. “I carried you on eagles’ wings and brought you to myself. Now if you obey me fully and keep my covenant, then out of all nations you will be my treasured possession” (Ex. 19:4 f.). Covenant faithfulness is the condition and means of receiving covenant benefits, and there is nothing arbitrary in that; for the blessings flow from the relationship, and human rebelliousness and unfaithfulness stop the flow by disrupting the relationship. Israel’s infidelity was constantly doing this throughout the Old Testament story, and the New Testament makes it plain that churches and Christians will lose blessings that would otherwise be theirs, should covenant fidelity be lacking in their lives. Jesus Christ, whose saving ministry is the sum and substance of the gospel, is announced in Hebrews the mediator and guarantor of the covenant relationship (Heb. 7:22, 8:6). The gospel promises, offering Christ and his benefits to sinner, are therefore invitations to enter and enjoy a covenant relationship with God. Faith in Jesus Christ is accordingly the embracing of the covenant, and the Christian life of glorifying God by one’s words and works for the greatness of his goodness and grace has at its heart covenant communion between the Savior and the sinner. The church, the fellowship of believers that the gospel creates, is the community of the covenant, and the preaching of the Word, the practice of pastoral care and discipline, the manifold exercises of worship together, and the administration of baptism and the Lord’s supper (corresponding to circumcision and Passover in former days) are all signs, tokens, expressions, and instruments of the covenant, through which covenantal enrichments from God constantly flow to those who believe. The hope of glory, as promised in the gospel, is the goal of the covenant relationship (Rev. 21:2 f.), and Christian assurance is the knowledge of the content and stability of that relationship as it applies to oneself (Rom. 5:1-11,8:1-39). The whole Bible is, as it were, presented by Jesus Christ to the whole church and to each Christian as the book of the covenant, and the whole record of the wars of the Word with the church as well as the world in the post-biblical Christian centuries, the record that is ordinarily called church history, is precisely the story of the covenant going on in space and time. As artists and decorators know, the frame is important for setting off the picture, and you do in fact see the picture better when it is appropriately framed. So with the riches of the gospel; the covenant is their proper frame, and you only see them in their full glory when this frame surrounds them, as in Scripture it actually does, and as in theology it always should. 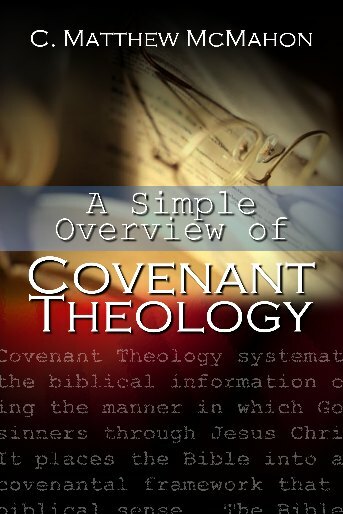 Covenant theology, as was said above, is a biblical hermeneutic as well as a formulation of biblical teaching. Not only does it spring from reading the Scriptures as a unity, it includes in itself specific claims as to how this should be done. Covenant theology offers a total view, which it is ready to validate from Scripture itself if challenged, as to how the various parts of the Bible stand related to each other. The essence of the view is as follows. The biblical revelation, which is the written Word of God, centers upon a God-given narrative of how successive and cumulative revelations of God’s covenant purpose and provision were given and responded to at key points in history. The backbone of the Bible, to which all the expository, homiletical, moral, liturgical, and devotional material relates, is the unfolding in space and time of God’s unchanging intention of having a people on earth to whom he would relate covenantally for his and their joy. The contents of Scripture cohere into a single consistent body of truth about God and mankind, by which every Christian — indeed, every human being — in every generation is called to live. The Bible in one sense, like Jesus Christ in another, is God’s word to the world. The story that forms this backbone of the Bible has to do with man’s covenant relationship with God first ruined and then restored. The original covenantal arrangement, usually called the Covenant of Works, was one whereby God undertook to prolong and augment for all subsequent humanity the happy state in which he had made the first human pair — provided that the man observed, as part of the humble obedience that was then natural to him, one prohibition, specified in the narrative as not eating a forbidden fruit. The devil, presented as a serpent, seduced Adam and Eve into disobeying, so that they fell under the penal sanctions of the Covenant of Works (loss of good, and corruption of nature). But God at once revealed to them in embryo a redemptive economy that had in it both the covering of sin, and a prospective victory for the woman’s seed (a human Savior) over the serpent and his malice. The redemptive purpose of this new arrangement became clearer as God called Abraham, made a nation from his descendants, saved them from slavery, named himself not only their God but also their King and Father, taught them his law (the family code), drilled them in sacrificial liturgies, disciplined their disobedience, and sent messengers to hold up before them his holiness and his promise of a SaviorKing and a saving kingdom; which in due course became reality. The Westminster Confession summarizes what was going on in and through all this. “Man, by his fall, having made himself incapable of life by (the first) covenant, the Lord was pleased to make a second, commonly called the covenant of grace: wherein he freely offereth unto sinners life and salvation by Jesus Christ, requiring of them faith in him, that they may be saved, and promising to give unto all those that are ordained unto eternal life his Holy Spirit, to make them willing and able to believe. . .
“This covenant was differently administered in the time of the law, and in the time of the gospel; under the law it was administered by promises, prophecies, sacrifices, circumcision, the paschal lamb, and other types and ordinances delivered to the people of the Jews, all foresignifying Christ to come, which were, for that time, sufficient and efficacious, through the operation of the Spirit, to instruct and build up the elect in faith in the promised Messiah, by whom they had full remission of sins, and eternal salvation; and is called the old Testament. “Under the gospel, when Christ, the substance, was exhibited, the ordinances in which this covenant is dispensed are the preaching of the Word, and the administration of the sacraments of Baptism and the Lord’s Supper . . . in them, it is held forth in more fullness, evidence and spiritual efficacy, to all nations, both Jews and Gentiles; and is called the new Testament. There are not therefore two covenants of grace, differing in substance, but one and the same, under various dispensations” (VII.iii. v. vi). So the unifying strands that bind together the books of the Bible are, first, the one covenant promise, sloganized as “I will be your God, and you shall be my people,” which God was fulfilling to his elect all through his successive orderings of covenant faith and life; second, the one messenger and mediator of the covenant, Jesus Christ the God-man, prophet and king, priest and sacrifice, the Messiah of Old Testament prophecy and New Testament proclamation; third, the one people of God, the covenant community, the company of the elect, whom God brings to faith and keeps in faith, from Abel, Noah and Abraham through the remnant of Israel to the worldwide New Testament church of believing Jews and Gentiles; and fourth, the one pattern of covenant piety, consisting of faith, repentance, love, joy, praise, hope, hatred of sin, desire for sanctity, a spirit of prayer, and readiness to battle the world, the flesh, and the devil in order to glorify God . . . a pattern displayed most fully, perhaps, in Luther’s “little Bible,” the Psalter, but seen also in the lives of God’s servants in both Testaments and reflected more or less fully in each single one of the Old and New Testament books. Covenant theologians insist that every book of the Bible in effect asks to be read in terms of these unities, and as contributing to the exposition of them, and is actually misunderstood if it is not so read. Who is God? God is the triune Creator, who purposes to have a covenant people whom in love he will exalt for his glory. (“Glory” there means both God’s demonstration of his praiseworthiness and the actual praising that results.) Why does God so purpose? — why, that is, does he desire covenantal fellowship with rational beings? The most we can say (for the question is not one to which God has given us a direct answer) is that the nature of such fellowship observably corresponds to the relationships of mutual honor and love between Father, Son and Holy Spirit within the unity of the divine being, so that the divine purpose appears to be, so to speak, an enlarging of this circle of eternal love and joy. In highlighting the thought that covenantal communion is the inner life of God, covenant theology makes the truth of the Trinity more meaningful than it can otherwise be. (2) As our salvation derives from God’s free and gracious initiative and is carried through, first to last, according to God’s eternal plan by God’s own sovereign power, so its ultimate purpose is to exalt and glorify the Father and the Son together. The man-centered distortion that pictures God as saving us more for our sake than for his is also a distressing nonsense. (3) Jesus Christ is the focal figure, the proper center of our faith-full attention, throughout the redemptive economy. He, as Mediator of the Covenant of Grace and of the grace of that covenant, is as truly an object of divine predestination as are we whom he saves. With him as our sponsor and representative, the last Adam, the second “public person” through whom the Father deals with our race, the Covenant of Grace is archetypally and fundamentally made, in order that it may now be established and ratified with us in him. (“With whom was the covenant of grace made?” asks question 31 of the Westminster Larger Catechism, and the prescribed answer is: “The covenant of grace was made with Christ as the second Adam, and in him with all the elect as his seed.”) From the vital union that we have with Christ through the Holy Spirit’s action flows all the aliveness to God, all the faith, hope and love God-ward, all the desire for him and urges to worship him and willingness to work for him, of which we ever were, are, or will be conscious; apart from Christ we should still be spiritually dead (objectively, lifeless; subjectively, unresponsive) in our trespasses and sins. Christ is therefore to be acknowledged, now and for ever, as our all in all, our Alpha and Omega, so far as our salvation is concerned — and that goes for salvation subjectively brought home to us, no less than for salvation objectively obtained for us. The legalistic, sub-spiritual Roman Catholic theology of Mass and merit, whereby Christians are required by the Father, and enabled by the Son, to take part in the achieving of their own salvation, is a further distressing nonsense. These three truths together shape the authentic biblical and Reformed mentality, whereby God the Father through Christ, and Christ himself in his saving ministry, are given all the glory and all the praise for having quickened us the dead, helped us the helpless, and saved us the lost. Writes Geehardus Vos: “Only when the believer understands how he has to receive and has received everything from the Mediator and how God in no way whatever deals with him except through Christ, only then does a picture of the glorious work that God wrought through Christ emerge in his consciousness and the magnificent idea of grace begin to dominate and form in his life. For the Reformed, therefore, the entire ordo salutis [order of salvation], beginning with regeneration as its first stage, is bound to the mystical union with Christ. There is no gift that has not been earned by him. Neither is there a gift that is not bestowed by him and that does not elevate God’s glory through his bestowal. 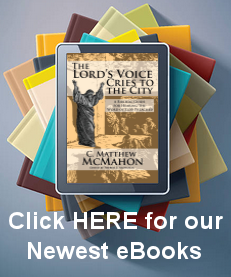 Now the basis for this order lies in none other than in the covenant of salvation with Christ. In this covenant those chosen by the Father are given to Christ. In it he became the guarantor so that they would be planted into his body in the thought-world of grace through faith. As the application of salvation by Christ and by Christ’s initiative is a fundamental principle of Reformed theology, this theology has correctly viewed this application as a covenantal requirement which fell to the Mediator and for the fulfilling of which he became the guarantor” (Redemptive History and Biblical Interpretation, ed. Richard B. Gaffin, Philadelphia: Presbyterian and Reformed, 1980, p. 248). The full reality of God and God’s work are not adequately grasped till the Covenant of Redemption — the specific covenantal agreement between Father and Son on which the Covenant of Grace rests — occupies its proper place in our minds. Earlier it was said that the Bible “forces” covenant theology on all who receive it as what, in effect, it claims to be — God’s witness to God’s work of saving sinners for God’s glory. “Forces” is a strong work; how does Scripture “force” covenant theology upon us? By the following four r features, at least. First, by the story that it tells. The books of the Bible, from Genesis to Revelation, are, as was said earlier, God’s own record of the progressive unfolding of his purpose to have a people in covenant with himself here on earth. The covenantal character of God’s relationships with human beings, first to last, has already been underlined, and is in fact reflected one way and another on just about every page of the Bible. The transition in Eden from the covenant of works to the covenant of grace, and the further transition from all that was involved in the preliminary (old) form of that covenant to its final (new) form, brought in through the death of Jesus Christ and now administered by him from his throne, are the key events in the covenant story. The significance of the fact that God caused his book of instruction to mankind to be put together with the history of his covenant as its backbone can hardly be overestimated. Covenant relationships between God and men, established by God’s initiative, bringing temporal and eternal blessings to individuals and creating community among them, so that they have a corporate identity as God’s people, are in fact the pervasive themes of the whole Bible; and it compels thoughtful readers to take note of the covenant as being central to God’s concern. Second, Scripture forces covenant theology upon us by the place it gives to Jesus Christ in the covenant story. That all Scripture, one way and another, is pointing its readers to Christ, teaching us truths and showing us patterns of divine action that help us understand him properly, is a principle that no reverent and enlightened Bible student will doubt. This being so, it is momentously significant that when Jesus explained the memorial rite for himself that he instituted as his people’s regular form of worship, he spoke of the wine that they were to drink as symbolizing his blood, shed to ratify the new covenant — a clear announcement of the fulfilling of the pattern of Exodus 24 (Jesus echoes directly the words of verse 8) and the promise of Jeremiah 31:31-34. 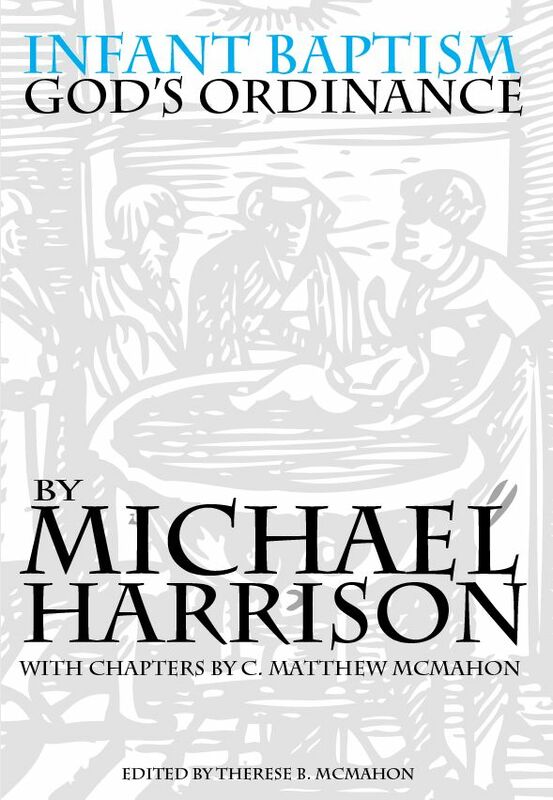 It is also momentously significant that when the writer to the Hebrews explains the uniqueness and finality of Jesus Christ as the only source of salvation for sinners he does so by focusing on Jesus as the mediator of the new covenant and depicts him as establishing this prophesied relationship between God and his people by superseding (transcending and thereby cancelling) the inadequate old covenant institutions for dealing with sins and giving access to God. It is also momentously significant that when in Galatians Paul tells Gentiles that their faith in Christ, as such, has already made them inheritors of all that was promised to Abraham, he makes the point by declaring that in union with Christ, as those who by baptism have “put on” the Christ in whom they have trusted so as to become his own people, they are now the seed of Abraham with whom God has made his covenant for all time (Gal. 3) . . . the covenant that brings liberty from law as a supposed system of salvation and full fellowship for ever with God above (Gal. 4:24-3 1). Such Scriptures require us to interpret Christ in terms of God’s covenant, just as they require us to interpret God’s covenant in terms of Christ, and this fact also alerts thoughtful readers to the centrality of the covenant theme. The third way in which Scripture directs us to covenantal thinking is by the specific parallel between Christ and Adam that Paul draws in Rom. 5:12-18; 1 Cor. 15: 21 f., 45-49). The solidarity of one person standing for a group, involving the whole group in the consequences of his action and receiving promises that apply to the whole group as well as to himself, is a familiar facet of biblical covenant thought, usually instanced in the case of family and national groups (Noah, Gen. 6:18, 9:9; Abraham, Gen. 17:7; the Israelites, Ex. 20:4-6, 8-12, 31:12-17 (16); Aaron, Lev. 24:8 f.;Phinehas, Num. 25:13; David, 2 Chr. 13:5, 21:7; Jer. 33:19-22). In Rom. 5:12-1 8 Paul proclaims a solidarity between Christ and his people (believers, Rom 3:22-5:2; the elect, God’s chosen ones, 8:33) whereby the law-keeping, sin-bearing obedience of “the one man” brings righteousness with God, justification, and life to “the many,” “all;” and he sets this within the frame of a prior solidarity, namely that between Adam and his descendants, whereby our entire race was involved in the penal consequences of Adam’s transgression. The 1 Corinthians passages confirm that these are indeed covenantal solidarities; God deals with mankind through two representative men, Adam and Christ; all that are in Adam die; all that are in Christ are made alive. This far-reaching parallel is clearly foundational to Paul’s understanding of God’s ways with our race, and it is a covenantal way of thinking, showing from a third angle that covenant theology is indeed biblically basic. The fourth way in which Scripture forces covenant theology upon us is by the explicit declaring of the covenant of redemption, most notably (though by no means exclusively) in the words of Jesus recorded in the gospel of John. All Jesus’s references to his purpose in the world as the doing of his Father’s will, and to his actual words and works as obedience to his Father’s command (Jn. 4:32-34, 5:30, 6:38-40, 7:16-18, 8:28 f., 12:49 f., 14:31, 15:10, 17:4, I9:30); all his further references to his being sent by the Father into the world to perform a specific task (3:17, 34, 5:23, 30, 36, 38, 6:29, 57, 7:28, 29, 33, 8:16, 18, 26, 9:4, 10:36, 11:42, 12:44, 13:20, 14:24, 15:21, 16:5, 17:3, 8,18, 21, 23, 25, 20:21, cf. 18:37); and all his references to the Father “giving” him particular persons to save, and to his acceptance of the task of rescuing them from perishing both by dying for them and by calling and shepherding them to glory (6:37-44, 10:14-16, 27-30, 17:2, 6, 9,19, 22, 24); are so many testimonies to the reality of the covenant of redemption. The emphasis is pervasive, arresting, and inescapable: Jesus’ own words force on thoughtful readers recognition of the covenant economy as foundational to all thought about the reality of God’s saving grace. Historically, covenant theology is a Reformed development: Huldreich Zwingli, Henry Bullinger, John Calvin, Zacharias Ursinus, Caspar Olevianus, Robert Rollock, John Preston, and John Ball, were among the contributors to its growth, and the Westminster Confession and Catechisms gave it confessional status. Johann Koch (Cocceius) was a Dutch stormy petrel who in a Latin work, The Doctrine of the Covenant and Testament of God (Summa doctrinae de foedere et testamento dei, 1648) not only worked out in detail what we would call a biblical-theological, redemptive-historical perspective for presenting covenant theology (three periods — the covenant of works, made with Adam; the covenant of grace, made with and through Moses; the new covenant, made through Christ), but muddied his exegesis by allegorical fancies and marginalized himself by needless attacks on the analytical doctrine-by-doctrine approach to theological exposition that was practised by his leading contemporaries in Holland, Maccovius, Maresius, and Voetius. It seems clear with hindsight that his method and theirs were complementary to each other, and that both were necessary then, as they are now. (Today we name the Cocceian procedure “biblical theology” and that which he opposed “systematic theology,” and in well-ordered teaching institutions students are required to study both.) But for more than half a century following the appearance of Cocceius’ book clouds of controversy hung over Holland as Cocceians and Voetians grappled with each other, each side trying to prove the illegitimacy and wrong-headedness of what the other was attempting. Within this embattled situation, Witsius tries to have the best of both worlds — and largely succeeds. His full title (The Economy of the Covenants between God and Man: comprehending a complete Body of Divinity) might seem to claim too much; but it is clearly a friendly wave to the Cocceians, who were insisting that the only way to organize theology and set out Christian truths was in terms of the historical unfolding of God’s covenant dealings. His four books, the first on the Covenant of Works, the second on the Covenant of Redemption, the third on the Covenant of Grace, and the fourth on covenant ordinances at different times, and on the knowledge and experience of God’s grace that these conveyed, are a journey over Cocceian ground, in the course of which Witsius, excellent exegete that he is, manages to Correct some inadequacies and errors that poor exegesis in the Cocceian camp had fathered. But he treats each topic analytically, and draws with evident happiness on the expository resources produced by systematicians during the previous 150 years including, be it said, much deep wisdom from the Puritan-Pietist tradition, which is particularly evident in Book Three. This is a head-clearing, mind-forming, heart-warming treatise of very great value; we possess nothing like it today, and to have it available once more is a real boon. I thank the publishers most warmly for taking a risk on it, and I commend it enthusiastically to God’s people everywhere. Introduction by J. I. Packer to “The Economy of the Covenants between God and Man: Comprehending A Complete Body of Divinity”. Herman Witsius. REPRINTED 1990. Escondido. California: The den dulk Christian Foundation. DISTRIBUTED by Presbyterian and Reformed Publishing Company, Phillipsburg, New Jersey.